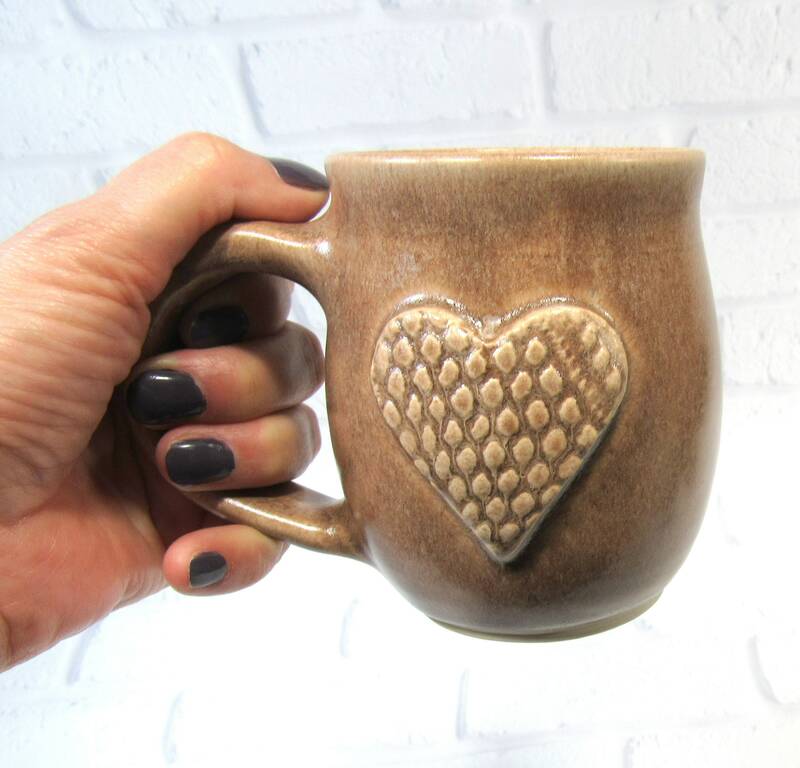 I made these mugs as favors for my daughter's wedding and all the guests loved so Ithought I would also offer them for sale. 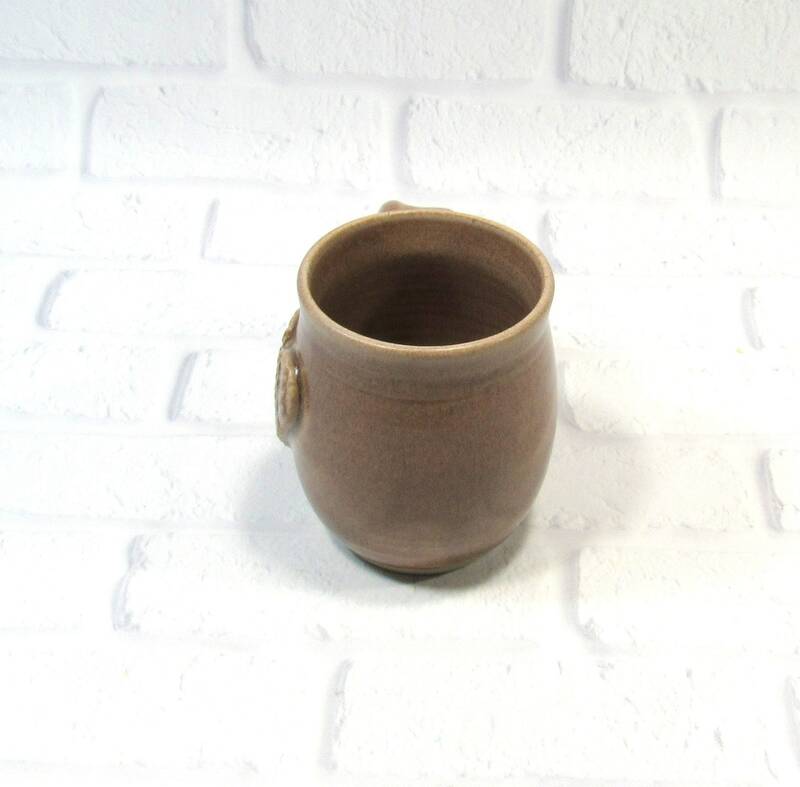 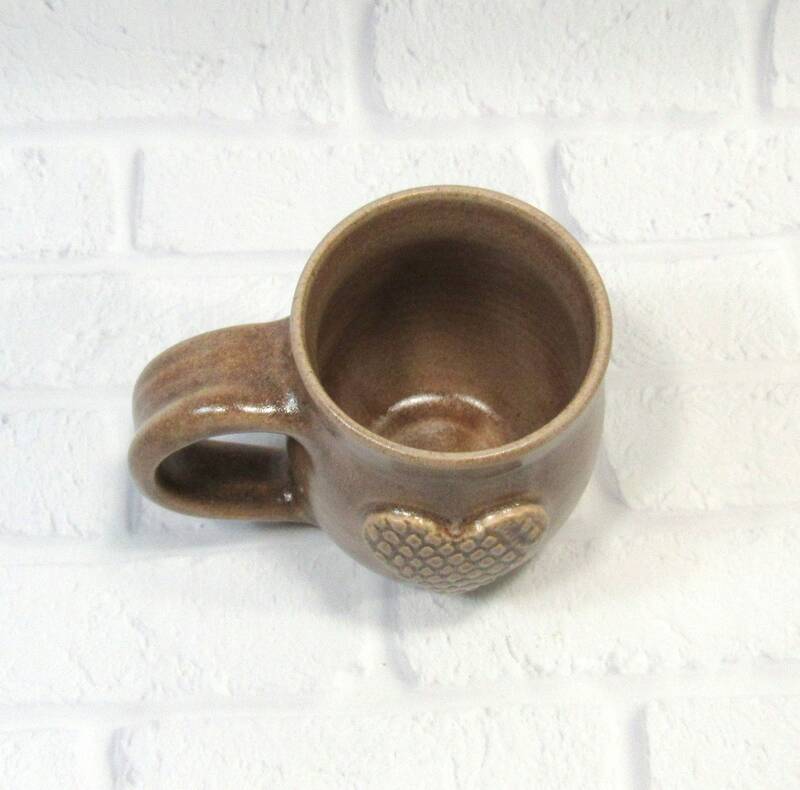 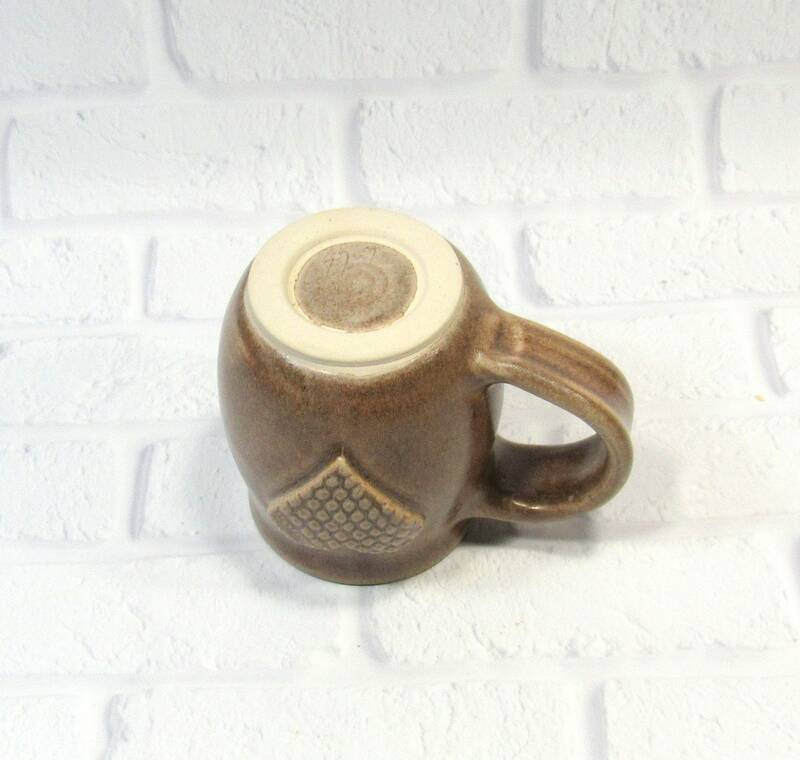 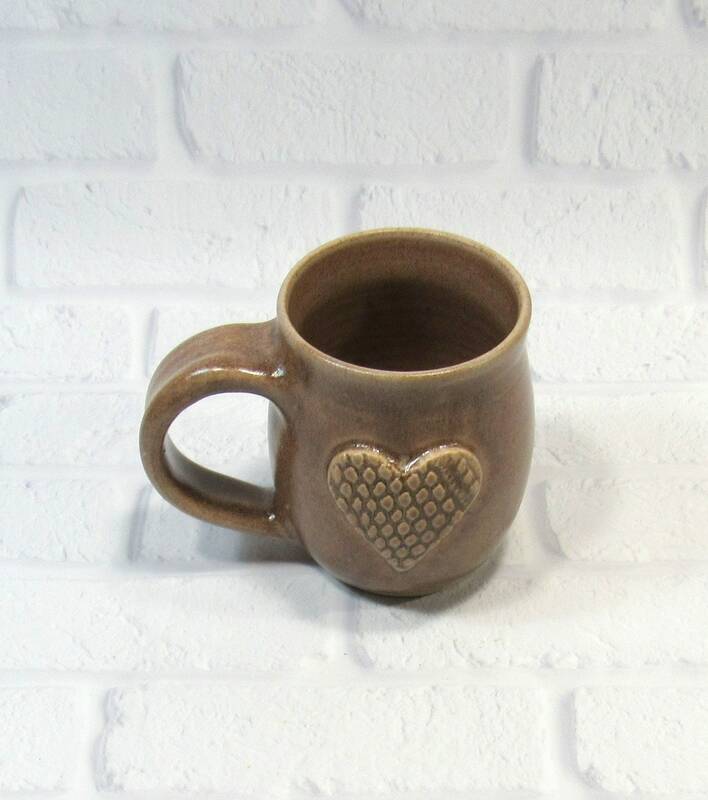 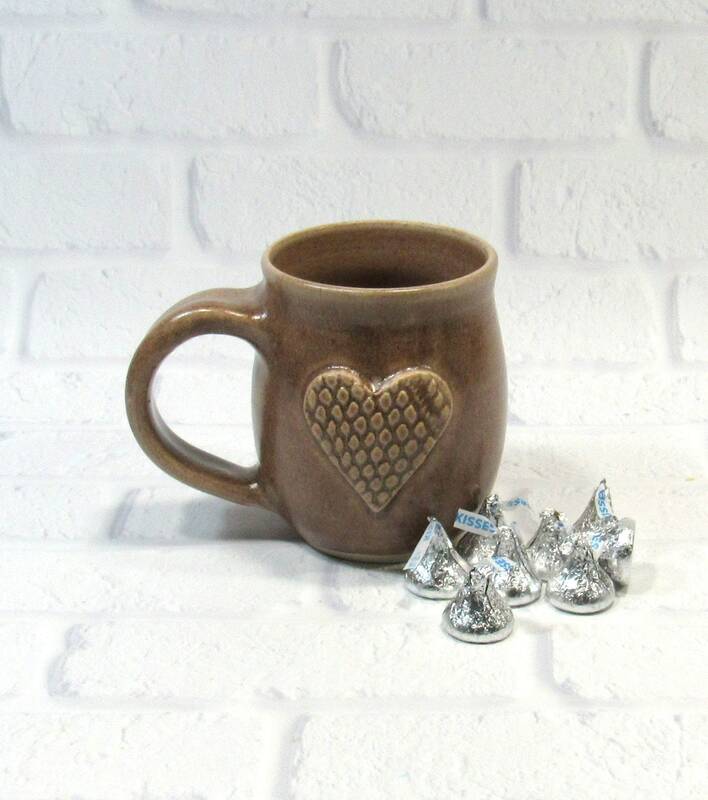 Gorgeous caramel brown mug with one heart textured with a doily imprint. 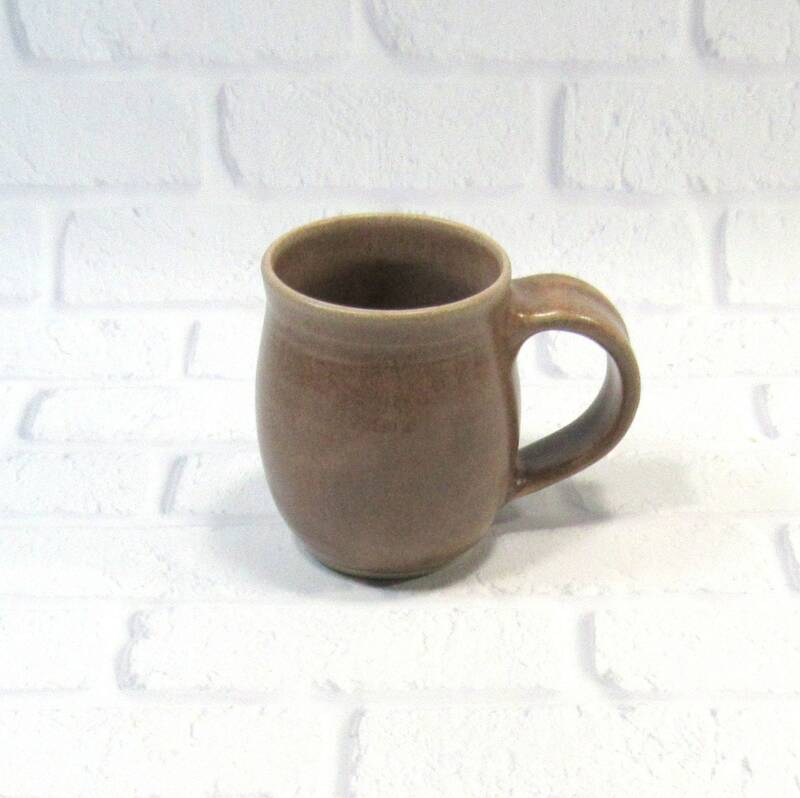 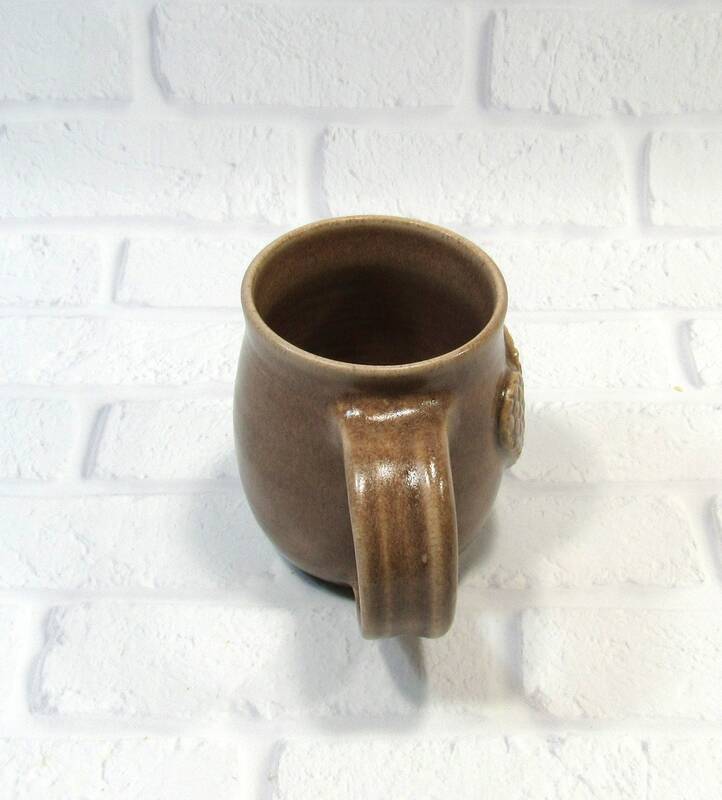 I made this ceramic coffee cup on the potter's wheel in my Virginia studio. 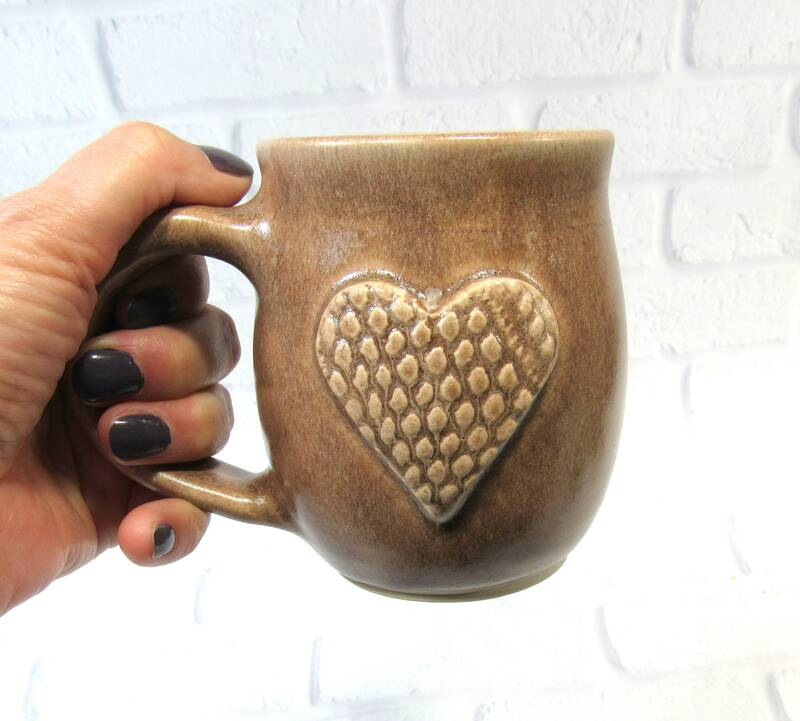 When the clay was dry enough to handle, I trimmed it and added the handle and textured heart. 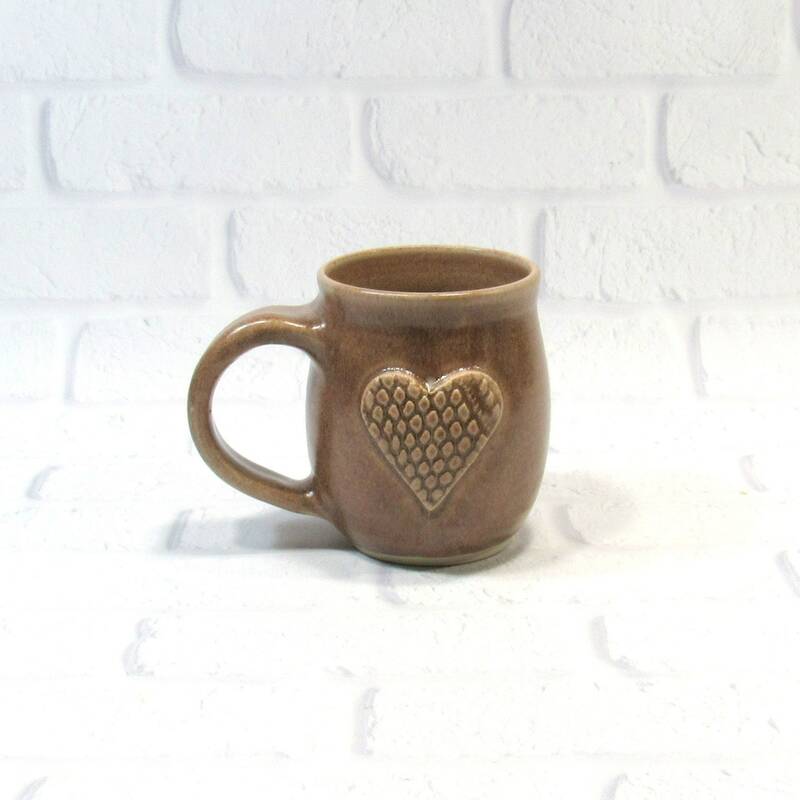 The heart has an imprint from a vintage doily.